These couplers assure quick and easy connection or disconnection to all 1/4 inch NPT air hoses and tools. We sell these quick connect sets to garages and the motor trade. All are repeat customers to help show what great value they are and plenty good enough for trade use. No leaks from these connectors. 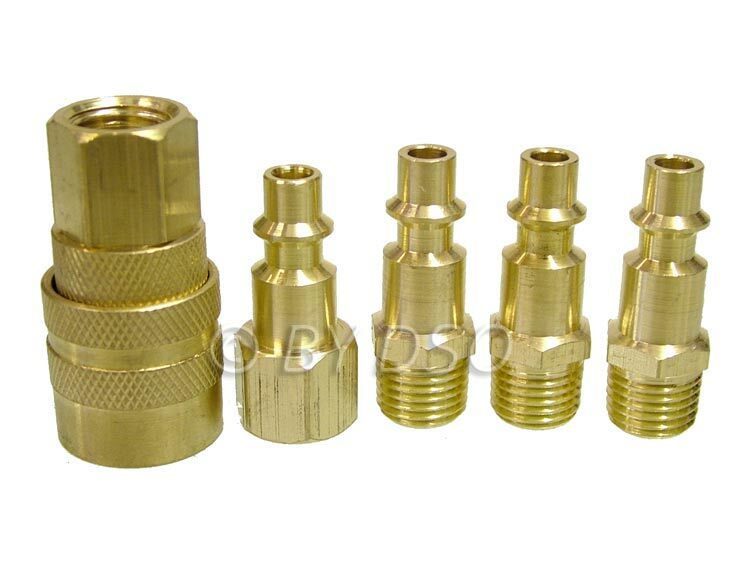 Made from solid brass to ensure durablity, these fittings also rotate to eliminate twisted hoses. This set includes 1 female quick connectcoupler, 1 female connector and 3 male connectors.